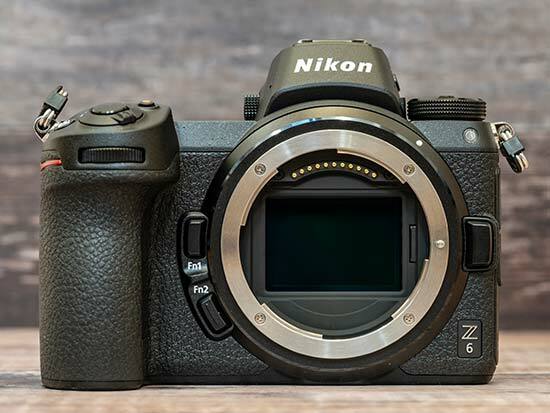 Launched alongside the brand new Z 7 earlier this year, the Nikon Z6 is designed to be an “all-round” type camera which is cheaper than its slightly more advanced sibling. Both of the cameras use the same outward design, with all of the major differences being evident in internal specifications. The biggest difference is in sensor resolution – the Z 6 offers a 24.5 megapixel full-frame sensor, compared with the 45.7 megapixel offering of the Z 7. Other differences include the Z6 having a faster maximum frame rate (12fps compared with 9fps), and fewer AF points (273 vs 493). At the time of writing, the Z 6 retails for around £2100 / $2100 body only, but it can also be bought as part of a kit with the 24-70mm f/4 “S” lens for £2800 / $2800. 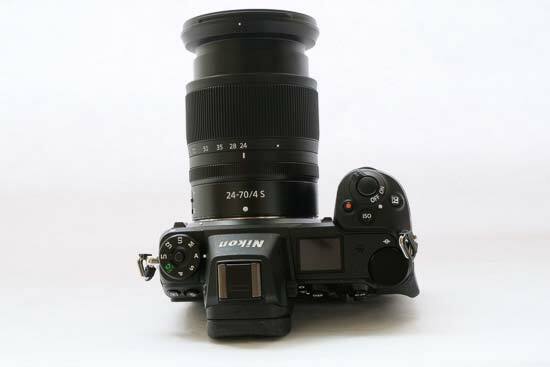 You can also buy it with the FTZ adapter which allows you to use the Z 6 with your existing Nikon F mount lenses. For the design of both the Z6 and the Z 7, Nikon has tried hard not to alienate its existing customer base of DSLR users. 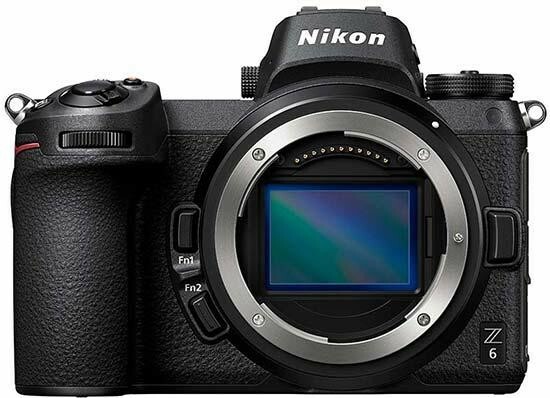 That means, anybody who is currently using one of Nikon’s high-end models and decides to make the switch to mirrorless should be able to get going straight away. In essence, the Z6 is just like a slightly miniaturised DSLR. Although size has been reduced, it doesn’t go too far with miniaturising, leaving you with something that is still very comfortable and well-balanced – particularly if you’re using it with heavy lenses. The handgrip is nice and chunky, while a covering across the whole camera body also has a really nice feel. The Z6 has the same level of weatherproofing as the D850, while overall the build quality feels very high. It seems as though it would easily withstand a little bit of rough and tumble, as well as coping easily with shooting in a variety of different weather conditions. Button wise, most of the Z6’s buttons are grouped on the right hand side of the camera, making one handed operation easy. The only exception to this being the playback and delete button. Along with all of the buttons, there’s also a joystick, which you can use to move focus points around the frame. It has a ridged coating which helps your thumb easily find it when looking through the viewfinder – as it’s not possible to use the touch-sensitive screen to set the AF point when shooting through the viewfinder, you’ll probably find that the joystick gets a lot of use. 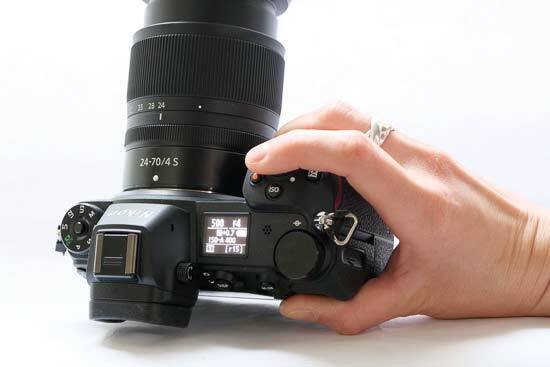 If you’re coming to the Z6 from a Nikon DSLR, you’ll be very familiar with lots of the buttons here already, such as AF-On, Menu and the switch for flicking between shooting video and shooting stills. To the right of the new lens mount is two customisable function buttons which are useful for assigning oft-used settings to. A lens release button is also found in the same place. Speaking of the mount, the Z mount is entirely new for this range and features four connection points, rather than three of the F mount. It’s also larger, which facilitates very wide aperture lenses – such as the upcoming 58mm f/0.95 Noctilux lens. Moving to the top of the camera, you’ll find another familiarity in the shape of the mode dial. From here, you can switch between the different shooting modes that the Z6 offers, including M/A/S/P as well as fully automatic. There’s space for three different groups of custom settings, which is very handy if you often find yourself shooting in a specific kind of situation, such as low light. A button in the middle of the dial must be pressed before you can rotate the dial, which proves to be useful for preventing accidental mode changes in your bag. Twin electronic dials occupy the top right of the Z6 – again being very reminiscent of using a camera such as the D850 or D500. They can be used together to adjust shutter speed and aperture, depending on the shooting mode you’re in. They can also be used to adjust other settings when holding down other buttons – for example when holding down the ISO button, the rear dial adjusts sensitivity speed, while the front dial enables and disables Auto ISO. As well as the ISO button, near the on/off switch, you’ll also find a dedicated video record button, as well as an exposure compensation button. On the top of the camera’s there’s also a very handy panel which shows a number of key settings, such as shutter speed, aperture, battery level, shooting mode and how many shots you’ve got left on the memory card. Flipping to the back of the camera, and there are two ways to compose your image – either via the screen or the viewfinder. 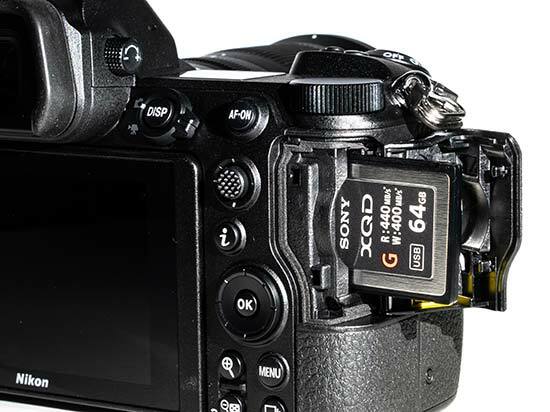 This being a mirrorless camera, the Z6 employs an electronic finder. At 3.6-million dots and with a huge 0.8x magnification it’s one of the best electronic viewfinders we’ve used, and is perhaps even though to convince even the strongest electronic viewfinder hater that it’s worthy of reconsideration. You get a very clear view of the overall scene, along with extra benefits over an optical finder – such as being able to preview how changes to settings will affect your overall image. Meanwhile, the 2.1-million dot tilting touchscreen is also great to use. 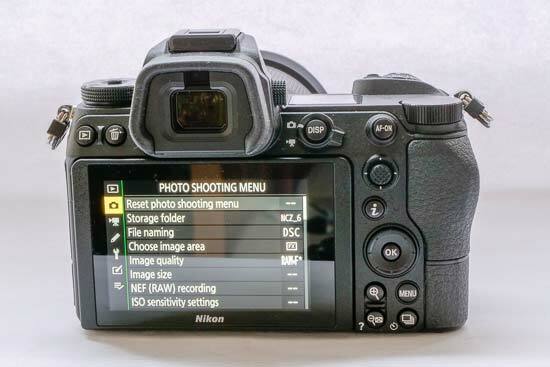 It’s a much better user experience than something like the A7 III, giving you the option to change AF point via the screen, as well as move around menus and make appropriate selections. Using the touchscreen in conjunction with the physical buttons is a great way to use the camera – depending on how best you like to work. 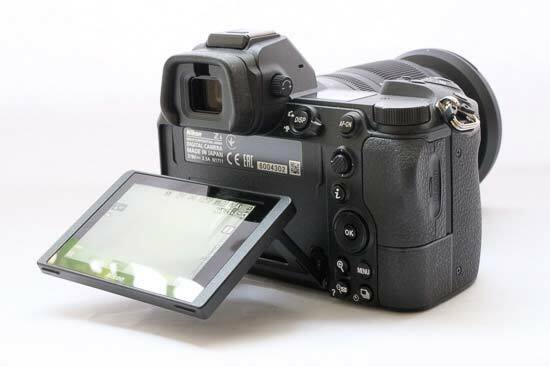 One small disappointment is not being able to use the touchscreen when shooting through the viewfinder to select AF point, something we’re used to seeing from other manufacturers such as Canon and Panasonic. That said, the joystick works well enough for it not to be too much of a big deal. A quick menu can be accessed by pressing the “i” button. In this menu you’ll find – by default – a set of commonly used settings. You can change the options which appear in this menu though, if you find there’s another setting that you often require quick access to. One of the big advantages that camera like the Z6 bring over traditional DSLRs is their ability to shoot silently. 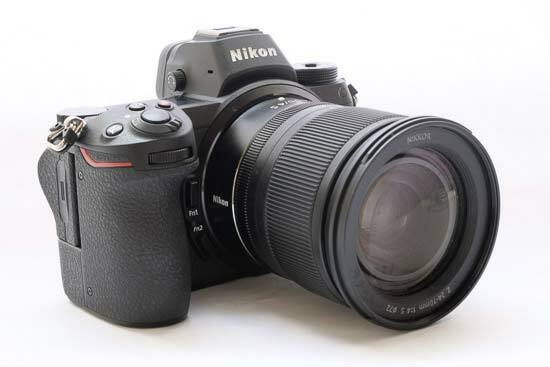 Certain kinds of photographers, such as wedding or quiet sports photographers will likely find this function appealing – of course it’s not new to the mirrorless market, but if you were previously a Nikon DSLR shooter, having this option may open up several new shooting opportunities. A key difference between the Z7 and the Z6 is the AF system. The latter camera uses a 273-point system – but on the plus side, the camera can shoot at 12fps, rather than the max 9fps that the Z7 can muster. While neither is likely to be the no.1 camera of choice for sports photographers, in practice, the Z6 seems to cope just a little bit better with very erratically moving subjects than the Z7. As we found with the Z7, it performs best when attempting to keep the subject under an active AF point (using Single-Point AF or Wide-Area AF), rather than activating tracking focus. Despite the reduced number of focus points compared with its more advanced sibling, you still have a choice of almost the entire of the frame to focus on. Also in practice, it doesn’t seem to be noticeably more sluggish in the majority of shooting situations, and it locks on pretty much instantaneously for static subjects in good light. In low light, focusing is a little slower, but not unacceptably slow – a very bright focusing assist lamp is switched on by default, but you can opt to switch this off for more discreet shooting. In which case, focusing may take a little longer but it’s rare for it to give up altogether. Both Wi-Fi and Bluetooth connectivity are included, primarily designed for use with Nikon’s Snapseed app. After some early teething issues, on the whole using the app is a much more pleasant experience than when it first appeared a couple of years ago. You can use it to automatically send files over to your phone for sharing online, which is useful for social media aficionados. One of the big controversies at the Z7 and Z6 launch was the decision to only include a single XQD slot. That’s likely to be less of a problem with the Z6, which is aimed more at consumers than professionals, but it’s still something to think about if you’re at all concerned about backup. It’s also worth considering that XQD cards are more expensive than SD cards, and you might find you want to buy a reader too. On the plus side, XQD cards facilitate faster shooting speeds and tend to be more robust than the average SD card, so you could consider it a good investment. At the time of writing, there are still just three native proprietary lenses for the Z mount. 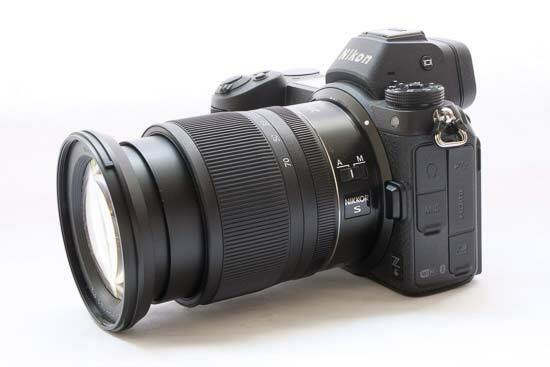 The 24-70mm f/4 S lens is likely to be very popular as a kit lens, but there’s also a 35mm f/1.8 S lens and a 50mm f/1.8 lens – the 50mm we are still waiting to see. 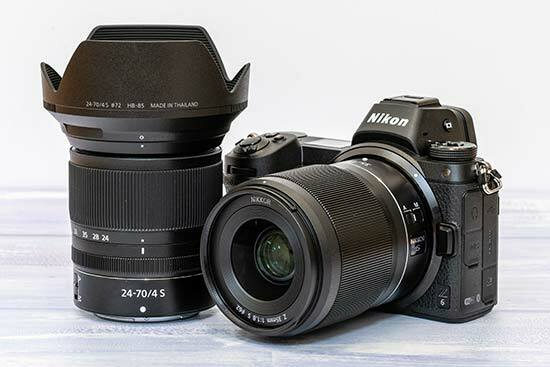 Since launch, several third party manufacturers have announced intentions to supply Z mount lenses, while we can also expect Nikon itself to bring more to the market over the next months and years. For anybody with an existing array of F-mount lenses, purchasing an FTZ adapter with the Z6 is a good idea. The adapter does not include a focusing motor within it, so only lenses which have focusing motors can take advantage of the Z6’s autofocus system, otherwise you’ll have to engage manual focus. The Z6 has a battery life rating of 310 shots, according to CIPA, making it just a fraction less than the 330 shots of the Z7. That doesn’t sound like a lot, but it’s important to remember that the aggressive power consumption of a standard CIPA test is unlikely to be replicated by the average user. Instead, with good power management practices – such as turning the camera off when not in use – it’s unlikely most average users would need a second battery. If you’re a particularly rapid shooter, it’s certainly worth investing in a second battery, though. Like the Z7, the Z6 can be charged via USB – so another option could be to pick up a battery pack so you can charge on the go. If you’re an existing D850 owner, note that you’ll be able to use your existing batteries in either the Z6 or the Z7, but, you won’t be able charge them via USB.